Using a specialized tattoo device to implant cosmetic pigments in the shallow top layers of your skin, Hacker Dermatology provides permanent make-up, also known as micropigmentation or cosmetic tattooing, in our Delray Beach office. Bella Reina Spa estheticians and our permanent make-up artist provide the most natural-looking cosmetic and restorative micropigmentation in the safety of our clinical setting. Whether you want permanent lip liner, eyeliner or lipstick, our artist will make careful measurements and blend the colors to complement your natural features and skin tone. A revolutionary new semi-permanent makeup technology that creates the look of real, individual hairs. Drawing your eyebrows in every day or are you just filling them in? Not even sure if you are getting it right? Want to wake up looking great? Then check out the latest low-commitment solution. 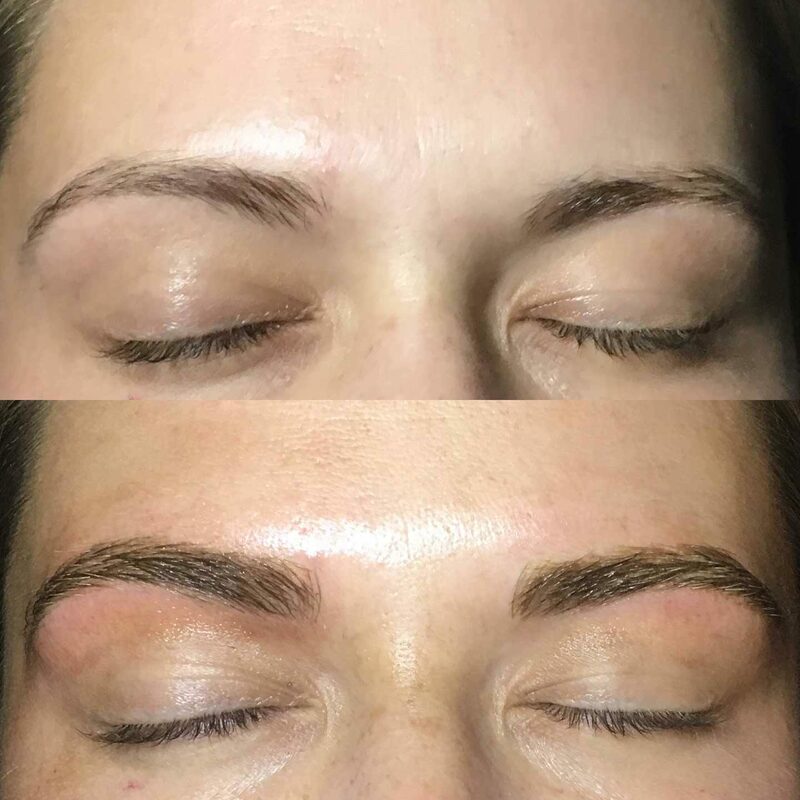 Created with all natural organic pigments in about 2 hours, Microblading or 3-D Embroidery is the answer to sparse, washed-out brows. 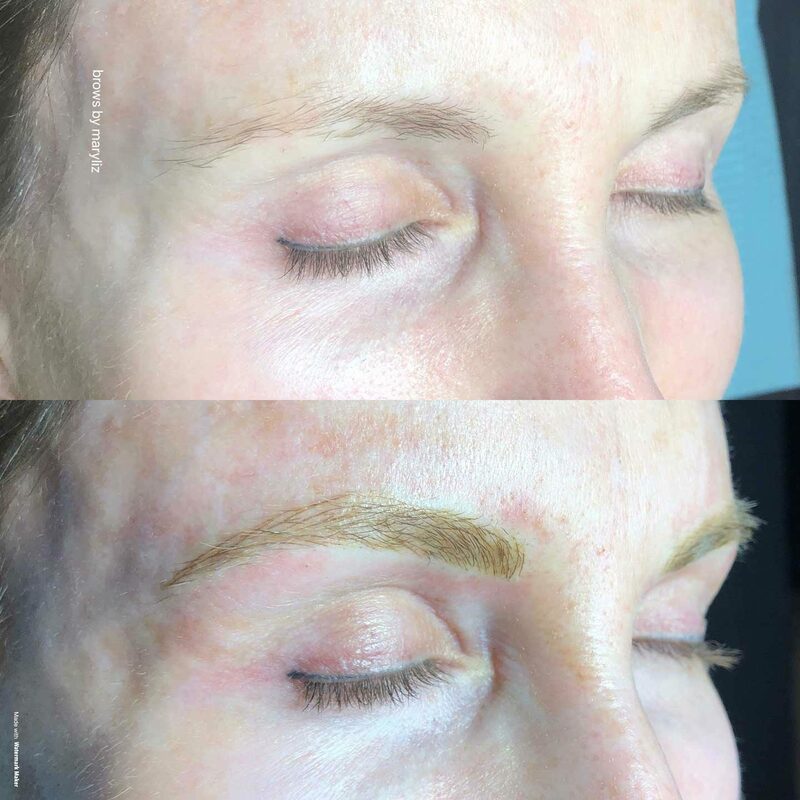 Performed by experienced Bella Reina Spa Microblading esthetician. 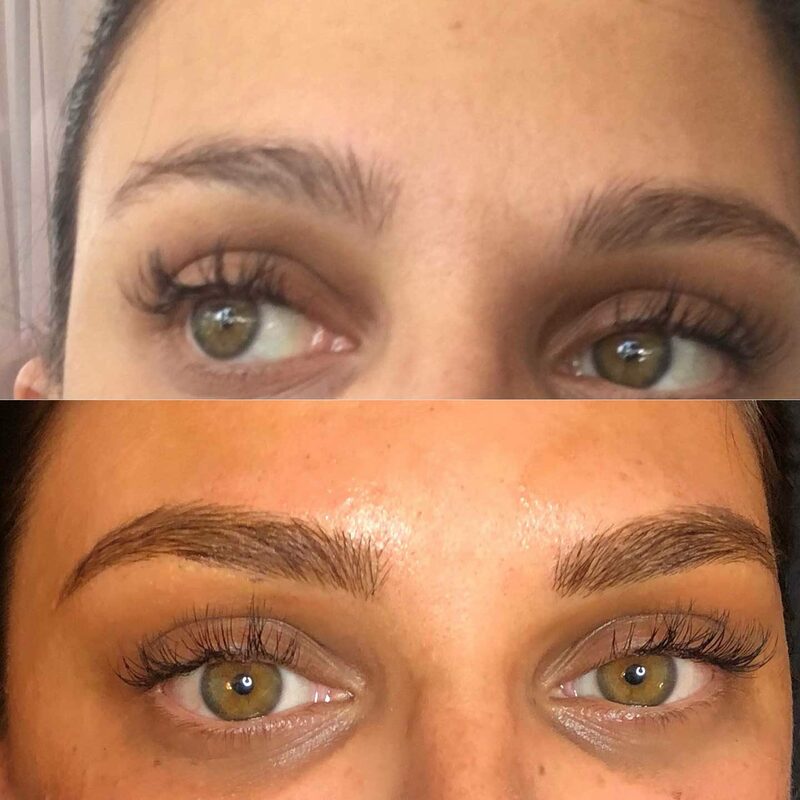 What Is so Revolutionary About Microblading or a 3D Eyebrow Tattoo Also Known as Eyebrow Embroidery? This revolutionary process creates the most natural-looking result. Individual ‘hairstrokes’ are carefully drawn on with a feathering technique. This one-by-one stroke simulates the look of real eyebrows and is semi-permanent. The design is made using all-natural vegan pigments implanted by hand and takes approximately 1-2 hours. Downtime is minimal and aftercare is simple. 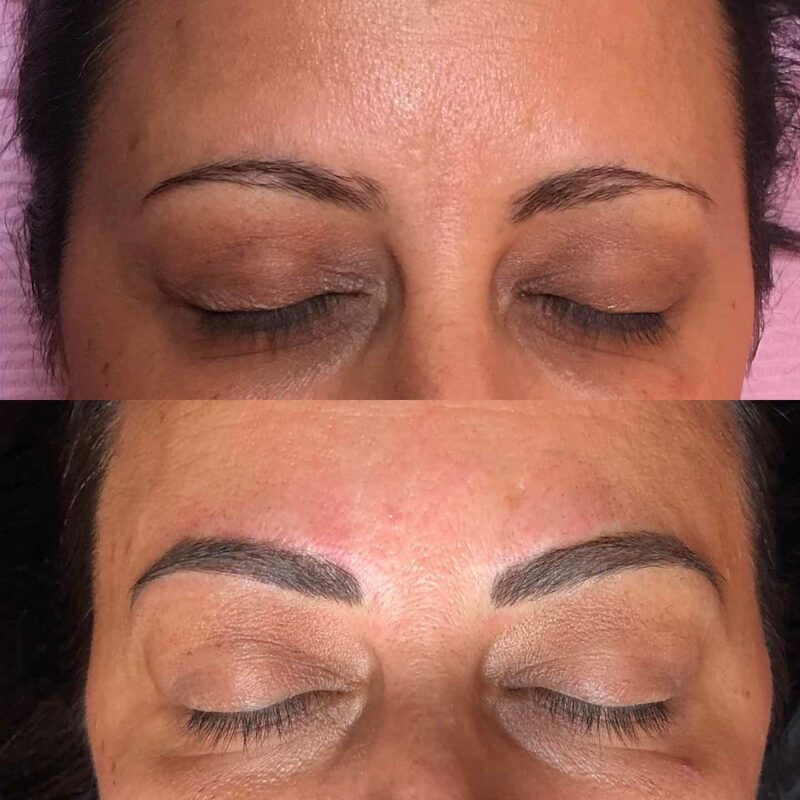 Who Is a Candidate for a Microblading or 3d Eyebrow Tattoo (Eyebrow Embroidery)? You want to change the shape of your brow or give it that arch you’ve always wanted. You have holes, gaps or scars in your eyebrows and the hair never grew back. You have lost your brows because of chemotherapy, Alopecia or other reasons for hair loss. If you had a permanent tattoo and over the years, the tattoo faded. You over-waxed or over-plucked your eyebrows. 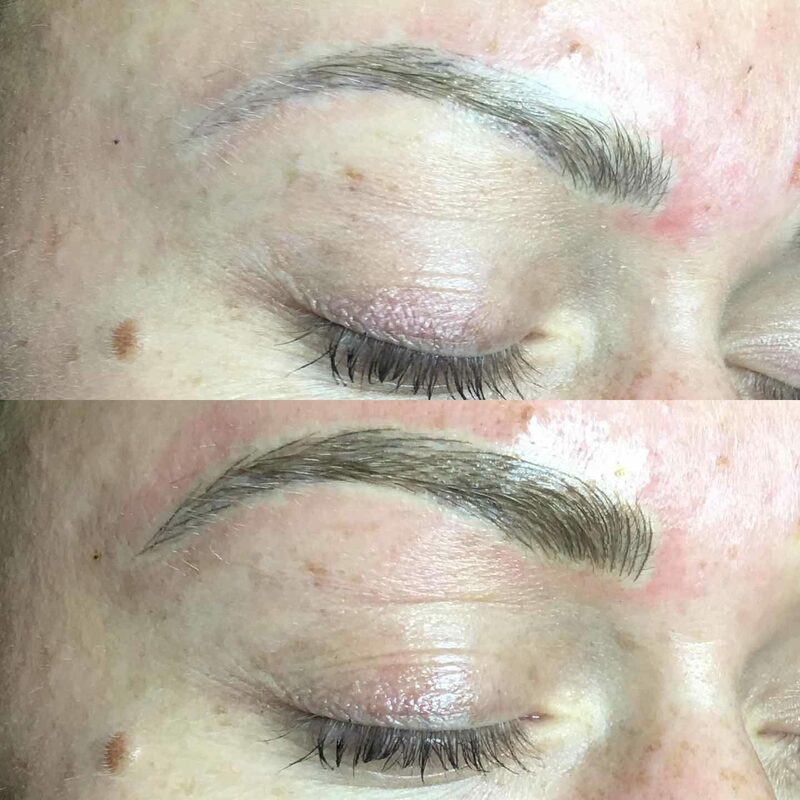 Is Microblading or 3D Eyebrow Tattoo the Same as Permanent Eyebrow Makeup? 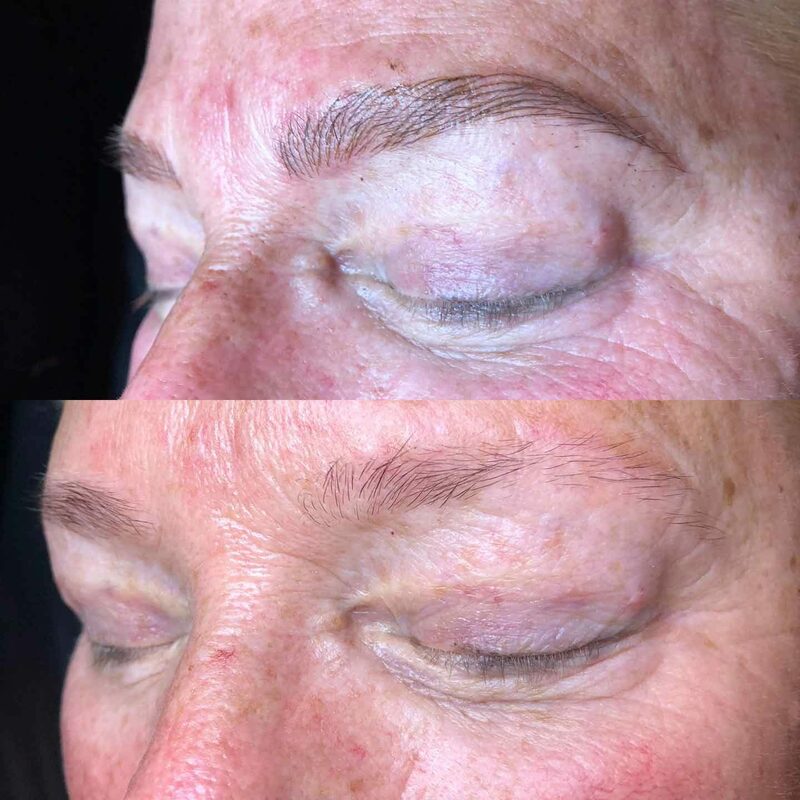 There are several distinct differences between a 3D Eyebrow Tattoo and Permanent Makeup Eyebrow tattoos. 1. Microblading or 3D or embroidery is dimensional. This makes it look very real and not dull or flat like traditional eyebrow tattoos. 2. The feather technique, although it is used with permanent makeup too, looks more realistic because the background is filled in. 3. The pigments used are water-based and vegan making them semi-permanent. With Permanent eyebrow makeup oil-based pigments are used. 4. With traditional tattoos, the color is deposited below the skin’s surface. 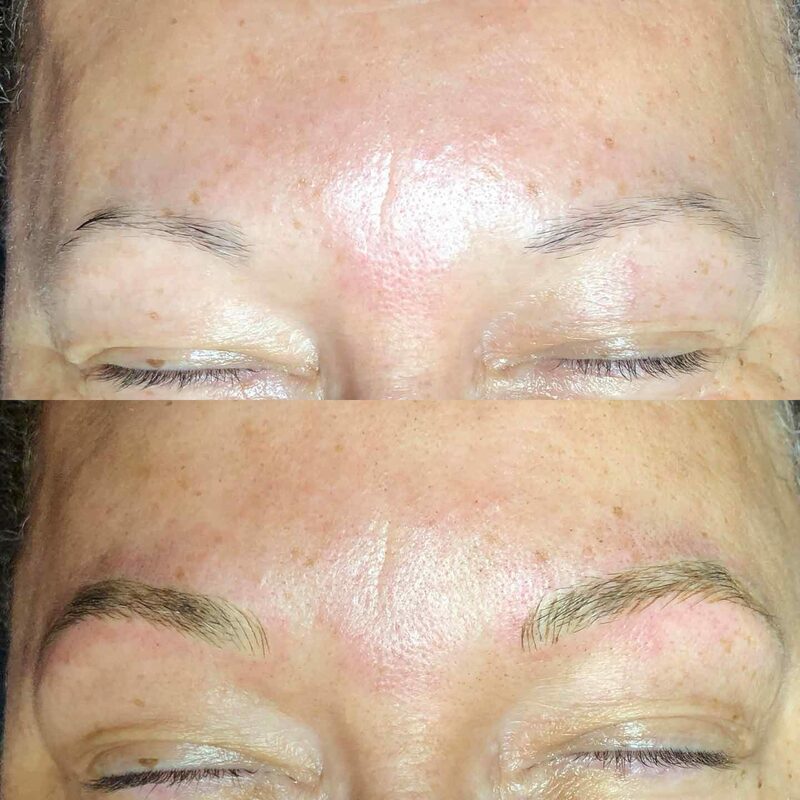 With Microblading or 3D Eyebrow Tattoos, the color is deposited on top of the skin. 5. Eyebrow embroidery looks like you applied a pencil to your eyebrows. It is softer than permanent makeup. Immediately after the treatment, the eyebrow color will appear darker and lightens in the next 2 weeks. Suitable for both men and women of all skin types, permanent make-up is a revolutionary method of applying natural pigments to create permanent eyebrows, eyeliner and lip liner. The procedure can take anywhere from 45 minutes to 2½ hours on average, but the amount of time you’ll save by not having to reapply your make-up daily makes it well worth the wait for most patients. However, the biggest advantage of permanent make-up is the fact that it won’t ever smudge, smear or rub off! Am I a Good Candidate for Permanent Make-Up? If you have sensitive skin or allergies to conventional make-up, you may be a good candidate for permanent make-up. 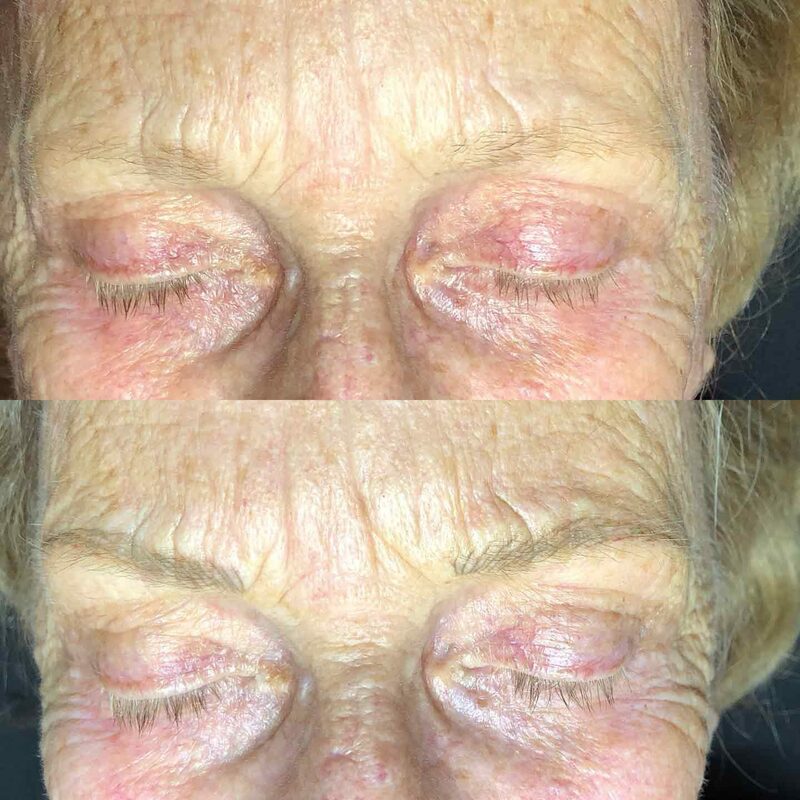 Minimal downtime and easy after-care make permanent make-up a popular procedure with our Delray Beach patients at our state-of-the-art facility. To learn more about the benefits of this procedure, please feel free to contact us today to request a consultation!